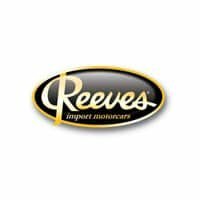 Welcome to Reeves Import Motorcars, a family-owned and operated business for over 40 years in Tampa – proudly representing the Audi, BMW, Land Rover, Maserati, Porsche, Subaru and Volkswagen brands. We offer excellent working conditions, state-of-the-art facilities, air-conditioned service bays, competitive salaries, benefits, a drug and smoke-free environment, and an opportunity for career advancement. We are always interested in finding motivated, dedicated individuals to become part of our team. If you are dependable and a self-starter, please complete and submit the information below to be considered for an exciting career with Reeves Import Motorcars. * All positions require a safe driving record, drug-testing and a background check.